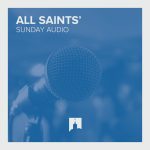 Sunday talks at All Saints’ can be accessed by clicking in the links below. They are also available on iTunes as a podcast. Apologies for the poor quality of the recording due to a technical issue.